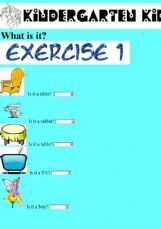 Three exercises for young learners. 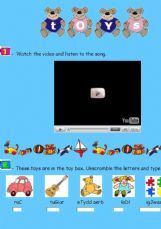 A chant and two exercises about toys. 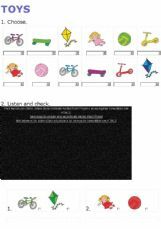 Reading and listening about toys. 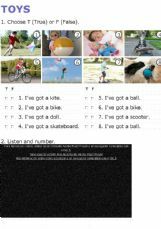 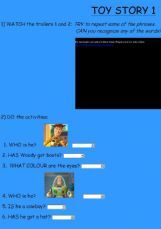 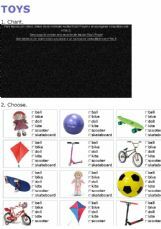 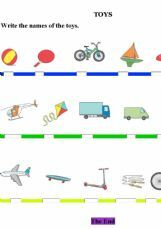 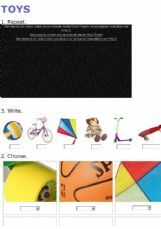 I�ve got + a ball, a bike, a scooter, a skateboard, a doll, akite. 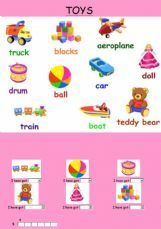 Pupils have to write the name of 14 toys.